This winter brings the prospect of two interesting projects, both of which have been mentioned briefly over the past few months. 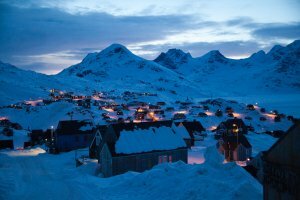 “In the depths of the arctic winter, film-makers Adrian Samarra, Matt Pycroft and Kerr Loy will join Alex Hibbert in the Inuit communities and wilderness of Greenland. They will produce a 30 minute documentary highlighting the lives and culture of the local villages as well as the spectacular and brutal conditions in this frontier nation. Combining highly creative camera techniques with a strong narrative with presenter Alex Hibbert, the team aim to capture a completely new angle on an amazing location. The first instalment of a series, in Greenland, will tackle the notorious local weather, the northern lights, walking across fractured sea ice and travelling with local hunters as they work on the frozen sea with their dog teams. Adrian Samarra, Matt Pycroft and Kerr Loy are experienced and highly creative film-makers. Combining cutting-edge techniques with a keen attention to detail, they produce sequences which produce the ‘wow’ factor again and again. Their credits include the BBC, Kendal Mountain Film Festival, RAB and the BMC." Following the period of filming in late January and after the film crew have returned to the UK, I'll be joined by a climber and outdoorsman friend in order to take on the notorious Icelandic Vatnajökull icecap in winter conditions. This expedition will be a full west to east crossing and will include a long approach and exit ski/hike instead of using local super-jeeps. Crossing the windy and heavily crevassed icecap in spring/summer is a major target but the darkness and tough conditions of the winter have inspired this expedition which will total over 120 miles of technical and complicated ice, snow and lavafields.